Are you running social media promotions for an online business? If yes, we’d love to hear about your experiences. And…there’s a little something in it for you in appreciation for your time. You’ll fill out a short (5 minute) survey. If you fit the profile of what we’re looking for, we’ll contact you to schedule a follow up call. 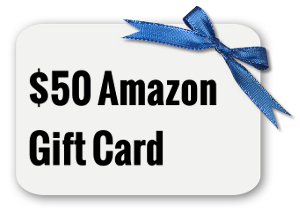 *Note: $50 Amazon gift cards are available only to participants we invite to the interview sessions.